سواءً كنت مسافراً بغرض السياحة أو العمل, Sandpiper Apartments هو خيار عظيم للإقامة خلال زيارتك جولد كوست. يحظى هذا الفندق ذو 3 نجمات بمكان ممتاز يسمح بالوصول إلى المعالم السياحية الأكبر في المدينة، فهو يبعد مسافة عن صخب المدينة. يوفر الفندق بفضل موقعة الجيد وصولاً سهلاً إلى أهم معالم المدينة.
. يعمل Sandpiper Apartments على ضمان إقامة مريحة لضيوفه من خلال خدماته الممتازة وحسن ضيافته. تتضمن الميزات الرئيسية في هذا الفندق: صف السيارات, مرافق للشواء, جولات, خدمة غسيل الملابس, مصعد. تتضمن كل غرف النزلاء وسائل الراحة والتسلية المصممة خصيصاً لضمان الراحة القصوى للضيوف. يقدم الفندق مجموعة واسعة من وسائل الراحة المتنوعة، كمثل: حوض استحمام ساخن, مسار جولف - ضمن 3 كم, حمام سباحة خارجي, سبا, حديقة. مهما كانت أسبابك لزيارة جولد كوست، فإن Sandpiper Apartments هو الخيار الأفضل لإقامة مثيرة وممتعة. مكتب الاستقبال مفتوح من الساعة 08:30 صباحًا إلى الساعة 05:00 مساءً في أيام الأسبوع العادية، ومن الساعة 08:30 صباحًا إلى الساعة 12:30 ظهرًا في أيام عطلات نهاية الأسبوع والعطلات الرسمية. The apartment was not new and flashy. But it had everything we needed and as clean. The location was the best thing. Across the street was a park and beach. A spectacular view from our balcony. We could walk easily to a variety of eateries, a supermarket and a bottle shop. We had a small issue with a loose railing that In the evening with strong winds created a very loud noise. But a phone call had a manager at the door within minutes and the problem was fixed without a problem. 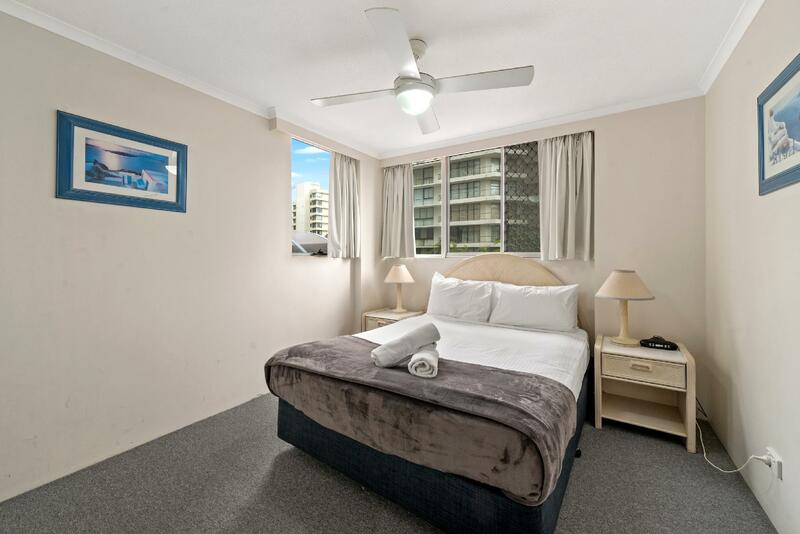 Always enjoy the Sandpiper, location is perfect and love the sunrises from the balcony, simple, clean, well stocked with everything you need, and so close to the hub of Broadbeach, but a little dated which isn't an issue really because we love the hotel. Our preferred place to stay on the Gold Coast. This was our second time at the Sandpiper so we knew what to expect. We chose Sandpiper because we are not as agile as in the past and the unparalleled view overlooking the park and the continual stream of activities were important to us. Clean apartment located in central and convenient location. Restaurants, pubs and beach within very close proximity. Car park was included which was great. Room did not have air conditioning which may be an issue in the warmer periods. The ability to walk to most places was a true standout!! Rooms were very clean and the apartment had everything we needed! With the beach across the road and the coffee shop within a 2min walk, it was amazing!! The view from the balcony were breathtaking both morning and night! Highly recommended and so great that we have rebooked for next year! Booked 1 bedroom apartment with ocean view and was given an awesome ocean view as per advertised. Stayed at 2nd last top floor, very windy. Apartment is very clean. The 2 lifts look new and working well. I got a sweet surprise when I was allowed to check-in at 9.30 am because the room was ready. Service from the reception is very helpful and friendly. Would be back to stay in this apartment again! Strongly recommended! Booked the apartment based on the Agoda info. But when turned up to the apartment, it was not what it described. Took a while to sort out the disappointment. The manger was trying his best to sort out the problems but at the end of the day it has left a bad taste for the whole holiday. Excellent location however apartment was a bit tired and in need of an update. Cleanliness was not great and balcony door didn't lock, however management did supply a timber dowel to wedge the door closed. For the price though, nothing that would stop me from staying here again given the excellent location. The kitchen oven was greasy and the stove top looked like it hadn't been cleaned from the last guests, the mattress on the bed was old and went down hill very uncomfortable. You would think they would have a decent bed. The shower is hard to get into as it has high sides. This was room 14 on the 3rd floor, The best thing about it was the air conditioner was quiet and working well. This was a ocean view room which we paid extra for. No vacuum no dishwasher no pay TV Very unhappy with apartment. Do not think we will make a return visit. We had the weekend at the sandpiper. 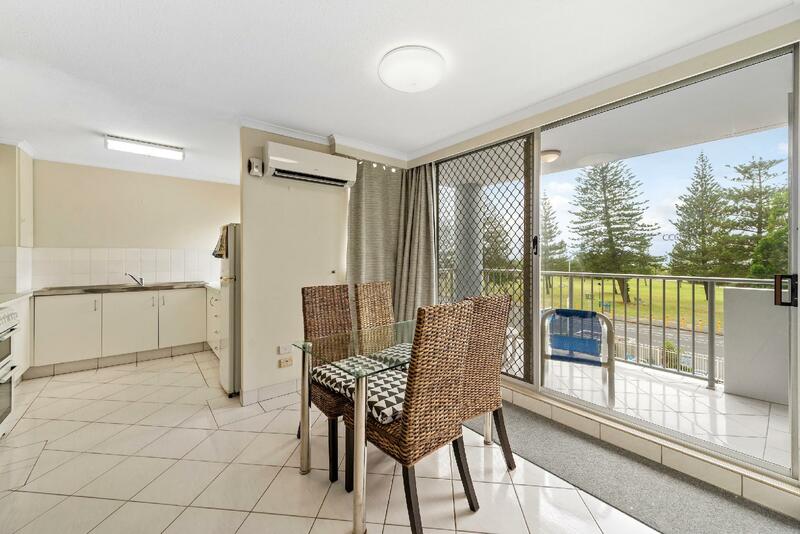 The unit was a 5 minute walk from broad beach eateries. The view from our balcony was excellent. The room was clean and the bed comfortable. If I was staying for a week I would get a 2 bedroom unit as may be larger. But overall I enjoyed my stay and will be revisiting .location location location . The location of the appartments and the value for money was great. I found the on line booking simple and great reception on arrival. The appartment was roomy and comfortable for the money. A couple of lights didn't work and I didn't try the airconditioner on my stay. Great view - very happy ! This was the ideal location and value for money. The apartment was so close to everything and we didnt have to take the car out once. 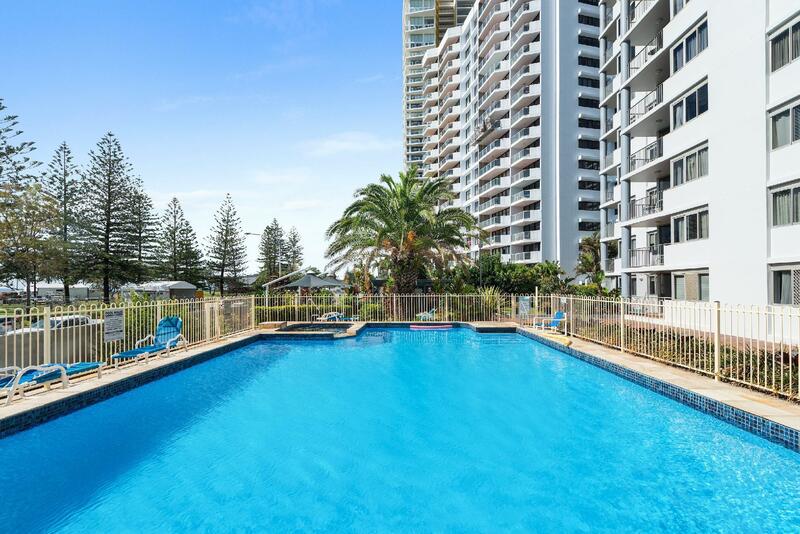 Walking distance to the cafe's, shops, tram and across the road from beach. Definitely stay again. Great location so close to restaurants and Oasis shopping centre. Our room was clean and had everything that we needed it was on a higher level so the view we had was lovely. The facilities of Sandpiper are great, very clear and well maintained. Great value for money! Only downside was that there is no air conditioning, it was very hot and uncomfortable being in the apartment bearing in mind tho we were there in a heat wave which was record breaking. Maybe normally it would be fine with just the fans. Great pool and outdoor area. Great after hours check in service. Friendly staff, great location right on beach front (we even got Sunday markets!) and so close to the Broadbeach night life and children's play grounds. 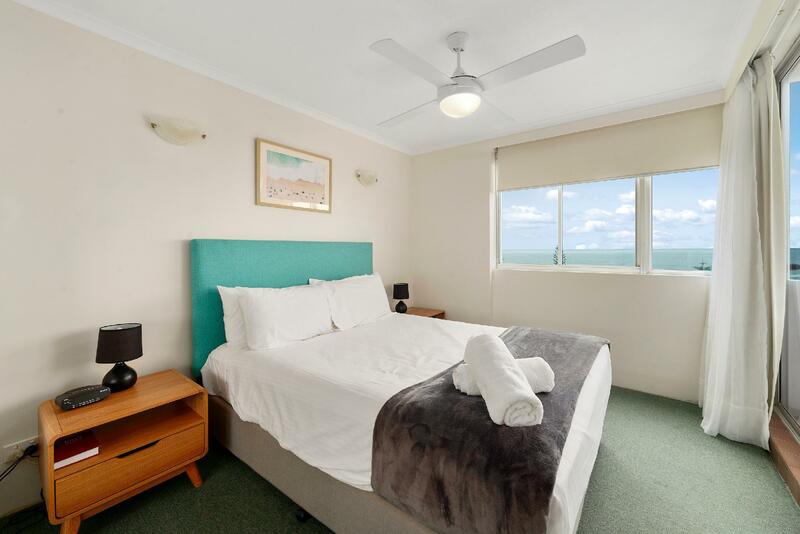 Apartment was neatly kept and supplied well, definitely recommend to families/travellers who want to escape the Surfer's nightlife and just want to relax. The location is fantastic - 5 min walk to the Convention Centre, 15 mins to Pacific Fair and cafes and restaurants nearby. 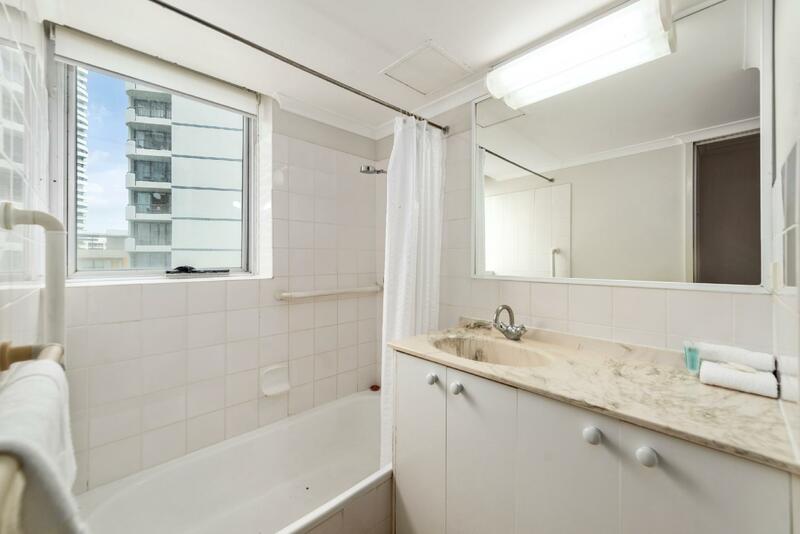 The apartment was light and airy - the bathroom was slightly dated but clean and tidy. The staff were extremely helpful and accommodated our need for a late check out. The Sandpiper Apartments was a lucky find. Though the apartment was a little 'tired' and could use a little bit of a spruce- up; the location is perfect. Broadbeach is a great place. We found everything we needed in walking distance! Each apartment is individually owned but collectively managed. We assume that quality of furniture, kitchen appliances, crockery and utensils is responsibily of owner. The furniture was OK but looking tired. The spindle in the washing machine was clogged up with washing powder and had to be cleaned as the first time we used it, it made a mess of our dark load of washing. The quality of the crockery, utensils, cooking pots and pans was poor. There was no aircon (OK for winter but not for summer). Bed was hard but Just OK. I put in a complaint about the cockcroaches. Management said all apartments had recently been sprayed. Overall we enjoyed our stay. The apartment is in a great location and has great views of ocean but all the other concerns took the edge of it. I could not recommend it for the money.